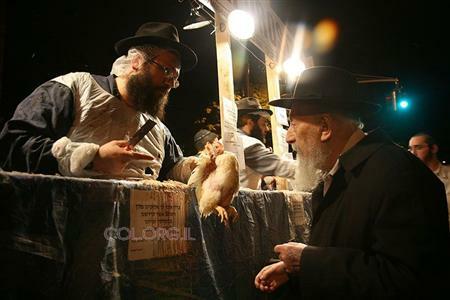 radioislam.org spews hatred, as though chicken lives don’t matter! Ritual said to satisfy Satan, who also hates chickens? The crazies who hate Jews often rave about the banks, Hollywood, Passover blood and, of course, Israel. I don’t mean Jews and chicken soup used in place of antibiotics. Or that some haters say Jews are “chickens.” Nor do I bring up the White House spokesman who called the Israeli Prime Minister “chicken turd” or some term like that. The actual ritual is Kapparah, which is practiced by some Jews. 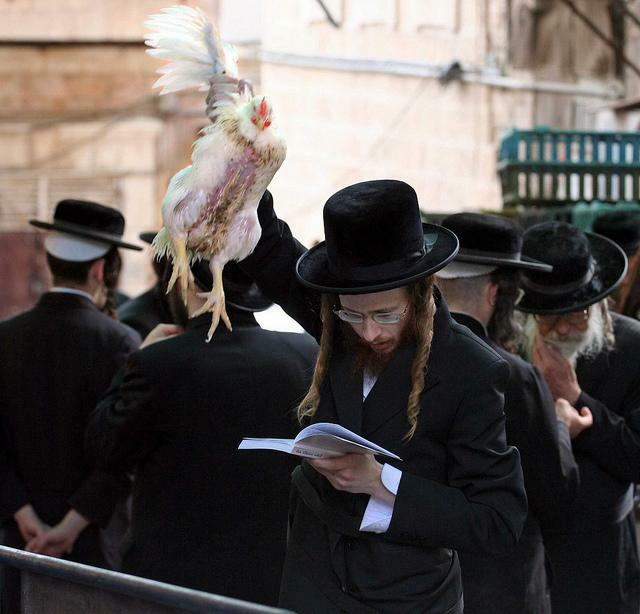 On the afternoon before Yom Kippur, the Day of Atonement, you obtain a chicken to be donated to the poor for consumption at the Yom Kippur meal, prior to fasting, recite the two biblical passages of Psalms 107:17-20 and Job 33:23-24, and then swing the chicken over one’s head three times while reciting a short prayer three times. In place of a chicken you can use a charitable donation, such as a bag of money and swing that. Jeb Bush wants to steal $48,060 from each of us with brutal Social Security cuts. His rich backers are overjoyed at scheme!